Prof. Dr. Nada Trunk Širca has been professionally active in the area of higher education since 1995, also exploring it actively. The contents of this monograph are the study of organisational development and the introduction of quality systems in higher education. In the first part, the author presents higher education in Europe and the main features of higher education in Slovenia. The author critically discusses the Europeanisation of the higher education area which has been significantly influenced by the EU through various programs and projects, as well as the Bologna process. 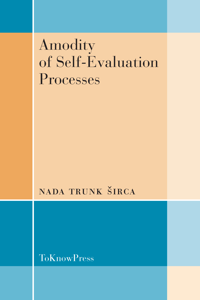 In the second part, the concept of action research with an emphasis on ethics is presented, as the action research is carried out in practice at a selected higher education institution over a longer period of time, comprehensively and in-depth illustrating the area of self-evaluation in higher education. In the third part, the author records the four cycles (years) of the action research. With the last part, the author concludes the monograph and demonstrates the contribution of the action research to theory and practice. The field of quality in higher education is important both in international area and at national levels, also in Slovenia. The monograph contributes to the understanding of the practice and to the development of the theory in the field of quality and management of higher education.